It is a simple law of potential & progression: A government that lies against the people with such impunity will turn the military on them without blinking. Remember where you were that New Year’s Day afternoon when you first heard—and disbelieved—the news. Initially it was like a terrorist attack no one was willing to claim responsibility for. And then the truth hit home, hard. Our government had successfully stolen the shine from Boko Haram, and exploded a bomb in the pockets and psyches of already longsuffering Nigerians. Never before in the history of Nigeria had so many been condescended to, by so few. They cooked and threw figures at us; flung promises as loud as they were empty. The President created 370,000 jobs in one speech (a probable world record by any standards), and with a straight face ‘paid’ civil service salaries on the 20th of every month. They also ordered “palliative” buses after the fact – incontrovertible evidence of the fact that their DNA is imprinted with contempt for the people they pretend to lead. Now, with the release of the fuel subsidy probe report (the credit for which belongs to the Nigerian people, who put unprecedented pressure on a government unfamiliar with the concept of accountability), the chickens have found their way home—shorn of the feathers that long shielded their anuses. This moment in history, if not for the inherent tragedy, would have been a perfect ‘we-told-you-so’ moment. For me the issue has always been clear, as follows: Under Mr. Jonathan’s watch, fuel subsidies rose (at least) three-fold. Instead of looking inwards, finding the reasons for that, taking responsibility, and punishing the implicated criminals, the government chose the easy – and unconscionable – way out: it turned its anger on a hapless people, and blamed them for its sins. It’s one of the worst things any government can do; in my opinion nothing short of “crimes against humanity.” I have not used that term lightly or thoughtlessly, and by using it I am not in any way trying to equate the January crises with, say, the Rwandan genocide, or the sufferings of Syrians under the brutal Assad. No. Indeed a lone hit-and-run fatality and a survivor-less plane crash can both share the word “tragedy”, without the ‘smaller’ tragedy triggering accusations of seeking to devalue the resonance of the ‘larger’ one, and of the word “tragedy” itself. I look at what the government did in January, against the backdrop of the revelations from the probe, and find it consistent with the patterns of governments that commit crimes of genocide against their people. A government that could do what it did – all those lies and emotional blackmail – all in a bid to avoid taking responsibility for its failings, will go to any lengths anytime it finds itself on the wrong side of the people’s wishes. And of course we saw that happen on the day they crushed the protests – they deployed armed troops to the streets of Lagos, and then tried to frame Governor Fashola by saying he requested for the deployment. It is a simple law of potential & progression: A government that lies against the people with such impunity will turn the military on them without blinking. And a government that turns the military on its people to crush protests against its lies is at any point in time merely a few steps from where Mr. Assad currently is. Let’s not forget that people died protesting last January! Now that the truth is out, and it has emerged that the Nigerian people are not the parasites their government painted them to be (parasites sucking the life out of the Nigerian state through their addiction to ‘cheap’ petrol); now that it’s clear who the real parasites are, and that the aiders and abetters of parasitism are the same ones who were loudest in defence of the subsidy-removal; the least Mr. Jonathan, his henchmen and henchwomen can do is tender an unreserved public apology for their countless crimes against the Nigerian people. Tolu, please, let him keep his apology. I want blood! Heads must roll! How can a handful subject the entire nation to such inhuman behaviour? !No oh! Apology ke? Blood! In the form of resignations, sack letters and jail sentences, or else, let Jona sef comot! Only problem is, we nor get people for this nation-eyan won! But, mark my words, they will do nothing and push the people to do what is unnecessary but needful….let's prepare, this nonsense has to end here! Im in on anything other than any thing organised by NLC/TUC. 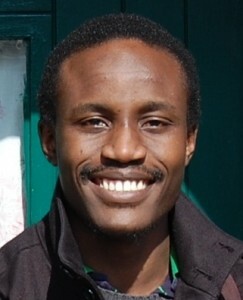 Infact Omar/Esele should be added to the list of adversaries when a REVOLUTION starts. Its just IMMINENT. This is what we need to trigger the protest of bloody violence we've all been silently craving for. This is outright robbery and lawlessness! Like my colleague and friend, Jeremiah Iyamabo said, NLC has lost the moral justification to coordinate a protest of this magnitude. We have seen the level of disorganization that a supposedly organized labour congress pulled off. People rose, banded together and decided to question the bad policy of the government. We need to not only hold government responsible for our woes. Civil society groups like the NLC who should have checked the excesses of government should themselves be adressed. Tolu, I think you mean a public resignation letter, not an apology letter. Sometimes, I feel these politicians are not really Nigerians, because I can't phantom how a sane human being will be happy to see his country men living in abject poverty. Well done!! This is really good. Only that Mr Jonathan did not need to "look inwards" or "find any reasons for that". Did the "free" elections come cheap? Where did the thousands of US Dollars spent on bribery come from? Methinks dear Mr Jo knew where the money went. In sheer wickedness and an attempt to turn his misdeeds into heroism, he decided that fuel subsidy was the one dragging the nation down. What else would explain why he can't act till now? You couldn't have been "righter"…it was indeed a crime against Humanity. If Jonathan or at least his henchmen have anything to tender, these should be resignation letters not apologies. People should go to jail for this. Feel free to add your own list. This way labour will show to all that it is not only about minimum wage increments. Again, Tolu speaks volumes, articulating the minds of many Nigerians too bruised and hurt to speak. The saddest part of this tragedy is the fact that petrol would never return to N65. We are yet victims of the machinations of immense corruption, lopsided governance and a Presidency that refuses to attack the growing cancer. Our light afflictions are not for a moment; they do not work for us a far more exceeding and eternal weight of glory! They only entrench us further in the pit of dearth and death.